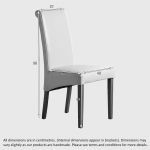 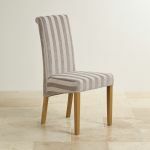 This classic yet modern dining chair would add a sense of refined luxury to any dining room or restaurant. 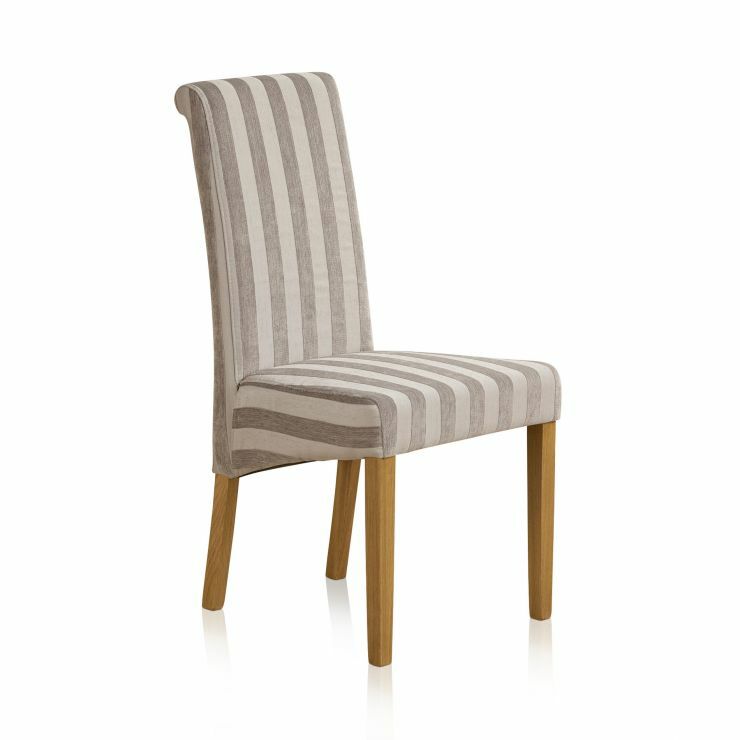 It features a high, scroll-back design for extra support and is upholstered in stunning multi-coloured stripe fabric for a supremely comfortable dining experience. 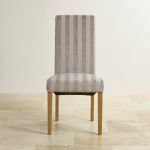 The legs are crafted from premium grade natural solid oak and are designed to match any of our solid oak dining tables.